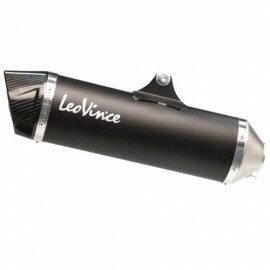 Leovince Nero full exhaust system for the Forza 125. Black-finish stainless steel and carbon end-cap. With db-killer. Homologated for road-use. 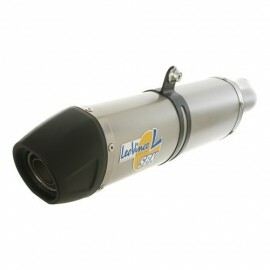 Leovince LV One full exhaust system for the Forza 125. Stainless steel and plastic end-cap. With db-killer. Homologated for road-use. Leovince Nero full exhaust system for the Forza 125 from 2017. Black-finish stainless steel and carbon end-cap. With db-killer. 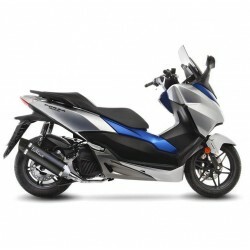 Homologated for road-use only with Euro4 catalyst. 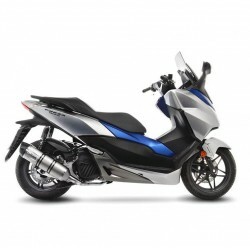 Leovince LV One full exhaust system for the Forza 125 from 2017. Stainless steel design and plastic end-cap. With db-killer. Homologated for road-use only with Euro4 catalyst.